Humayun’s Tomb, Delhi, the first tomb built with several innovations, set at the center of luxurious gardens with water channels, was the precursor monument to the TajMahal (built a century later). It was built in 1570 and was inscribed as a UNESCO World Heritage Monument in 1993 for its cultural importance. Qutb Minar and its Monuments, located to the south of Delhi, is a complex with the Qutb Minar as the centerpiece, which is a red sandstone tower of 72.5 meters. Red Fort Complex, also known as LalQila is a palace fort built in the 17th century by Shahjahan (1628–58), the fifth Mughal emperor as part of his new capital city of Shahjahanabad. located to the north of Delhi. It represents the glory of the Mughal rule and is considered the Highpoint of Mughal architectural, artistic aesthetic creativity. 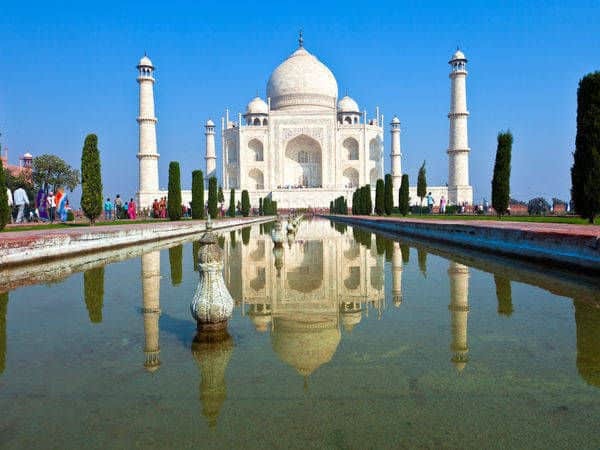 Golden Triangle Tourism, The Golden Triangle is so called because of the triangular shape formed by the locations of New Delhi, Agra, and Rajasthan on a map. The trips usually start in Delhi moving south to the site of TajMahal at Agra, then west, to the desert landscapes of Rajasthan. The ‘Pink City’, is one of the most royal, majestic and colorful cities of India with a very strong historical background and vibrant culture. Literally translated into the City of Victory, Jaipur has always been one of the faces of tourism in India. Popularly clubbed with Agra and New Delhi, they form the Golden Triangle of Indian Tourism and would be the most popular tour for any foreigner visiting India. Home to one of the 7 wonders of the world, the TajMahal, Agra is a sneak peek into the architectural history with other structures such as Agra Fort and Fatehpur Sikri and hence makes for a must visit for anyone living in or visiting India. Also Known as the “Gateway to Thar“, it is famous for its Mehrangarh fort, blue houses, temples, sweets, and snacks. Apart from the fort, there are multiple temples, lakes, shopping streets, mouth-watering snacks, and sweets. Jodhpur is one of the most enchanting cities of Rajasthan, with its mighty Mehrangarh fort overlooking the city. An architectural masterpiece in itself, Mehrangarh Fort is a magnificent fort and is among one of the largest forts in Rajasthan. The city is called the Blue City as it looks completely blue in color from an aerial view because of its blue walls and blue houses. Situated in the middle of Thar Desert, Bikaner is a city of forts and palaces. It is also known for its sweets and snacks.Bikaner with its magnificence in architecture, art, and culture has sands filled with color, festivity and cultural marvels. Sand Dunes and the Desert Safari are among major attractions. 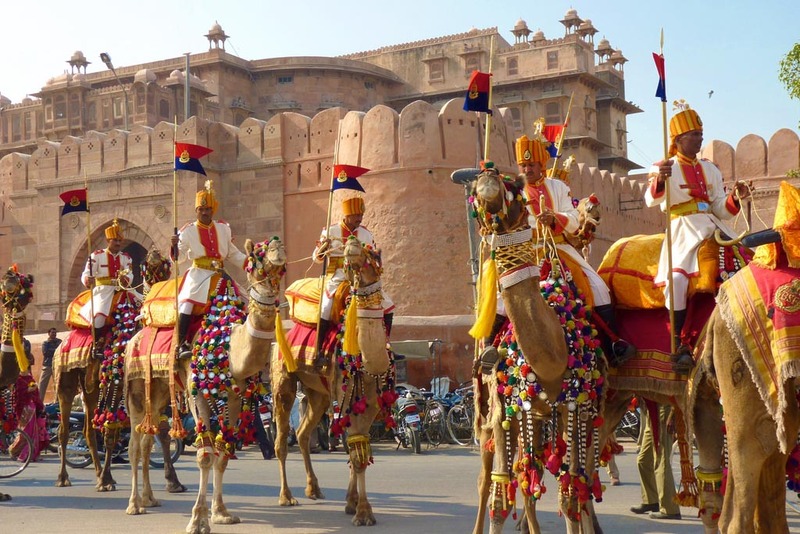 Bikaner is also famous for hosting the international Camel festival which draws tourists from world over. “The Paradise on Earth”, with deep and mesmerizing valleys cascaded in skyscraping mountains and evergreen beauty, this heaven on Earth leaves you absolutely mesmerized. Right from Chashm-E-Shahi to the exotic Shalimar garden, Srinagar offers bountiful of places to visit. Surrounded by mountains for the adventurous lot of lakes for photoholics to shopping markets for the spendthrifts, Srinagar does not disappoint anyone. The Dal Lake is among the most beautiful and most popular lakes in India and a Shikara ride there would be an unforgettable experience. A land like no other with a superabundance of attractions to visit and phantasmagoric and fabulous landscapes, amazing people and culture, Ladakh is truly a heaven on Earth.Bounded by two of the world’s mightiest mountain ranges, the Great Himalaya and the Karakoram, it lies athwart two other, the Ladakh range and the Zanskar range. 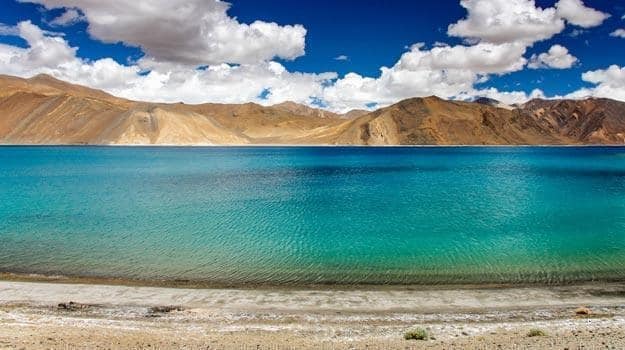 Ladakh is mystical in all the spheres it covers, from nature, geography, sceneries to the modest cultures that it fosters. Right from gompas to the sensational momos, the superabundance of attractions to visit makes this city make it heaven on earth. Kullu, a popular tourist destination generally coupled with Manali, is an open valley with panoramic views and majestic hills covered with Deodar and Pine trees. Situated at an altitude of 1230 meters, Kullu is a nature lover’s paradise. Abundant with lush greenery, pristine river streams and a wonderful climate, Kullu is known as one of the most popular tourist spots in Himachal Pradesh. Kullu is also popular as a sister town to Manali which is on much higher altitude and provides more scenic views. Typically travelers cover both Kullu and Manali in one trip. Tourists coming to Kullu and Manali can indulge in a lot of adventure sports activities like river rafting, trekking, mountaineering etc. 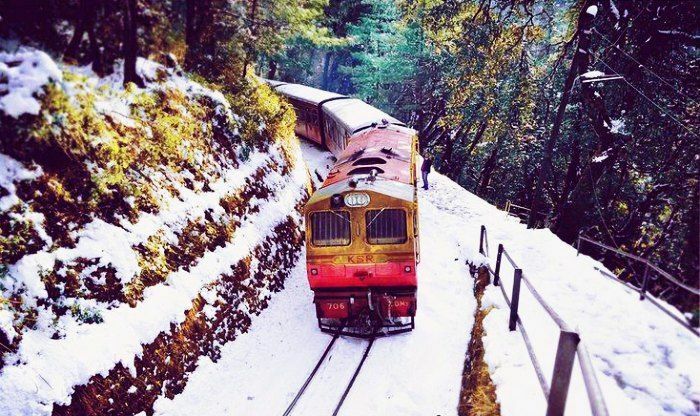 Probably the most popular hill station in northern India, Shimla is the capital city of Himachal Pradesh famous for its Mall road, the Ridge, toy train etc. among honeymooners and families alike. Situated at a height of 2200 m, Shimla is one of the most eminent tourist destination in the country. Set amidst beautiful hills and mystical woods, Shimla is one of most aesthetically planned cities in India. An erstwhile summer capital of British India, this town’s captivating natural beauty and the atmosphere are bound to leave any tourist overwhelmed. The well-knit roads, impeccable cleanliness and an efficient administration make for the perfect combination for any tourist destination in the world. Famous for its splendid views and untouched natural beauty, Buddhist monasteries and Tibetan culture, Spiti is a destination for trekkers, hikers – only the string hearted. The Lahaul and Spiti district comprises of both the valleys which are separated by Kunzum pass. One of the most unexplored destinations in Himachal Pradesh, Spiti or Spiti valley is located at a very high altitude in the eastern part of Himachal Pradesh. This region is a desert mountain valley and is known for its beautiful monasteries and untouched natural beauty. Kufri is a small hill station in Shimla district of Himachal Pradesh state in India. It is located 13 km from the state capital Shimla on the National Highway No.22. The name Kufri is derived from the word Kufri meaning “lake” in the local language. The highest point in the surrounding region, Kufri has a Himalayan wild life zoo which hosts rare antelopes, felines and birds including the Himalayan monal, the state bird of Himachal Pradesh. During winter a meandering path through the potato plantations turns into a popular ski track. The Jim Corbett National Park is a popular haunt of the youth from neighboring metropolitans and towns alike, for its unique stay facilities, and housing the famous endangered species of the Indian Tiger. The Park is also home to about 580 species of birds and a variety of animals like the langur, sloth bear, python, cobra, black bear, Asiatic elephants and many more that can be spotted easily on a safari. You can also opt for a trip to the viewing towers, which provide a panoramic view of most of the park, which has a core area of about 520 sqkms, and if you are lucky enough, maybe spot a tiger or two. Cradled in the wilderness of Himalayan ranges, the sprawling town of Almora shaped like a horseshoe is a hill station that boasts of a pre-British heritage and an idyllic vibe. At the meeting point of the Himalayan ranges, Zanskar and Western and Eastern Himalayas, the valley of flowers discovered by Mountaineer Frank S Smith in 1931 has been declared a world heritage site for its wild untamed blooms surrounded by white peaks. Famous for its exotic varieties of medicinal herbs. 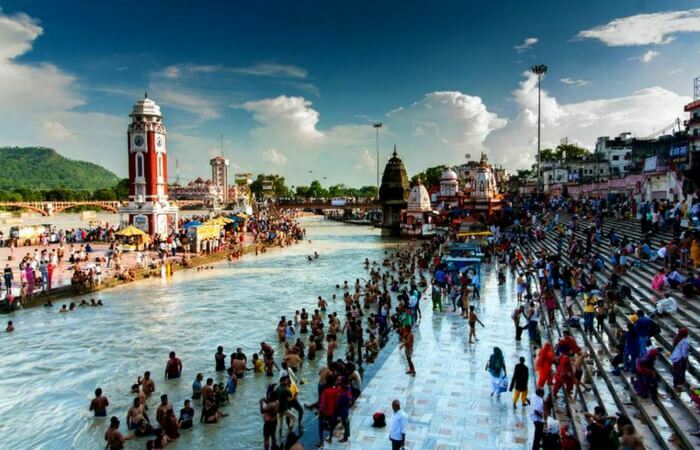 Rishikesh is one of the popular pilgrimage for the Hindus. At this place the Ganges leaves the mountains and prepares herself to begin a long journey through the plains. Rishikesh stands at an altitude of 356 meters above sea level and along the river. Rishikesh is best Center for Adventure Activities, Beach Camping, Beach Games, River Rafting, White Water Sports Tours Bungee Jumping, Flying Fox and Swing Activities. The town of Uttarkashi is located in the Indian state of Uttarakhand. This town is a very important tourist destination in the region and it is located in the Uttarkashi district. The place is known for its stunning natural beauty and is also called as Devbhumi, which can be literally translated to ‘Land of the Gods’. Pilgrims from all around the country flock to this region too, due to its religious heritage. 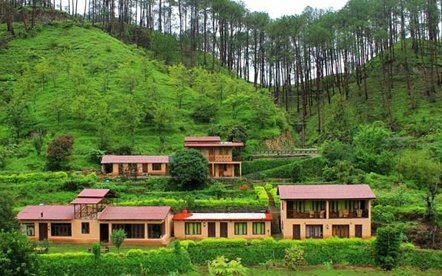 Dotted with apple orchards, oaks and deodars; Auli is a popular hill resort in the Himalayan range dating back to 8th Century AD. 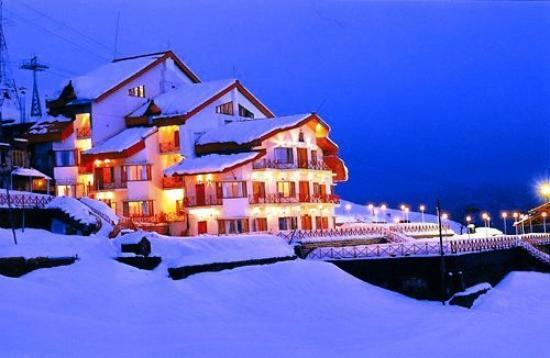 Auli is a popular skiing destination in India because of its glittering slopes and clean environment. Dotted with apple orchards, oaks and deodars, Auli is a popular hill town with numerous ski resorts situated amidst the Himalayan range. Located at 2800 meters above sea levels. 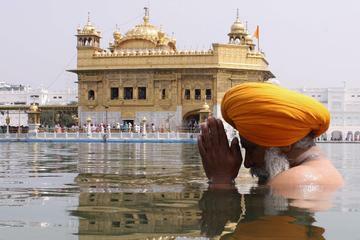 Amritsar is well known for its Golden Temple, the most sacred religious shrine for Sikhs. Apart from this world famous temple, you may want to visit the two historic spots JallianwalaBagh and Ram Bagh (the summer palace of King or Maharaja Ranjit Singh). You may witness The Beating Retreat Ceremony at Attari/ Wagha Border in the evening for a memorable lifetime experience. It is an important aspect of the overall experience of treatment in India. The stay in India should be good and the patient and their relatives should have a comfortable stay and overall nice experience. We offer multiple stay options as per your convenience and budget. The nearness to the hospital becomes an important aspect in choosing the right place. We ensure that the accommodation suggested to the patient and relatives is neat and clean and offer a safe environment.